I don't really care enough to engage in this argument... But here is the thing I see. Those were our only two big wins. Keeping in mind that a one on one jump ball takes virtually no skill aside from arm strength from the QB(which JG has for sure) ... Go back and count how many drives were only successful because of jump ball throws in both of those games. I've watched football a long time. There are certain traits that just jump off the good screen that separate bad QBs and good QBs. For JG, I'm just not seeing it. I don't think he has great anticipation. I don't think he has great accuracy. I think he will improve ten told at reading defense and pre snap adjustments, but I don't see a guy anyone would consider better than "OK" at a college level. JG wouldn't be successful on any team playing the way he does. You are delusional, he will never be half the passer or runner that Dobbs was. Since this has turned in to a JG thread. I'll be honest and say I'm not a fan of JG's play, he's tough though I will give him that. I'll will say though since Pruitt has brought in some top notch guys for coaching. Maybe they'll turn the light bulb on for JG and he has a breakout season. I hated math in HS, got to college and got a professor that explained stuff so simply that I became an A student in the higher math levels I took. So I'll give JG an opportunity to have his ahhh haaa moment but if it's clear he's just not getting it or progressing I say bench him and lets roll with one of the other guys and maybe have him ready for 2020. You should move on then because there is no way he's not the guy next season. You all sound like cable news hitting the same points over and over based on angled impressions. You never point out his improvement from year 1 to year 2, you never mention the victory at Auburn, calling it a fluke because it doesn't fit your narrative. You never mention that his 1st 2 games ever were vs Al and Ga when he should have started 6 games earlier his 1st season and you always fail to mention that he's earned the respect of his teammates, fans and coaches through sheer toughness, which last time I checked was a decent trait to have for a football player. I've been critical of several of our QBs in the past, usually the weak armed ones, and JG certainly has his faults, but if you don't see talent there then nothing really else to say or argue. You must be smarter than the coaches and nearly every analyst I've seen that think JG has a bright future. My opinion but anybody that wanted Dormandy, McBride or Chryst over JG is not very good at evaluating or identifying talent nor do they know what it takes to play QB at the SEC level. Fake news, IMO. Failing UT QB, total disgusting trumped up witch hunt, etc. Please add blue font. Fake news, IMO. Failing UT QB, total disgusting trumped up witch hunt, etc. When a QB has by far the worst OL in the SEC and is first in 3rd down efficiency and had the best game of any QB in the league against a quality opponent, and has the 2nd best TD/Int in the SEC, it doesn't jive with "slow making decisions and doesn't make pre-snap reads effectively." Stats PROVE otherwise. Tell us what qualifies you to evaluate a QBs. Take your time. Give us your full football resume. Some of have been watching for a long time. At least Dobbs was able to use pure athleticism and his brain to sometimes single handily get the team out of trouble and/or win games. Lol. I get the feeling some of yall would get sold a Fiero and think it was a Ferrari.. I get what you’re saying and you have some valid points. But keep in mind I’ve never tried to make the argument that JG is an awesome QB and Heisman material. Just that he’s is better than some people give him credit for and certainly not the reason we were 5-7 last year like some on here seem to think. I thought this was about Mizzou. The obsessed JG haters have once again ruined a thread with their ignorant garabage. His number of interceptions was very low which means he was very accurate or was so far off , no one was in the area. However, his completion % was not bad and he had a lot of passes dropped. He was rushed more than ant QB I have seen at Tennessee and I have been watching Tennessee football since 1945. Look for him to have a very good year and remember he completed 8, 3rd down and long first down psses in one game. Some of you guys are selling him way short. He had 2 touchdowns for 4 out of 12 games in 2018. Of the remaining 8 games in 2018 he scored a maximum of 1 touchdown per game (0 TD against Florida, ETSU, Alabama, Missouri). Wait! Didn't Lieutenant Governor Justin Fairfax of Virginia also reach out and touch some Missouri seniors...?? Some people aren't going to like those facts. 9-16 as a starter. 0.6 TD's a game. But I mean scoring TD's and winning games isn't really what playing football or being a QB is about so I could be wrong..
No. They simply don't. Your eyes prove it. They take pressure off of him with no read plays like screens and even those back shoulders that pumped up his stat line. You have a bias to want to blame someone else. 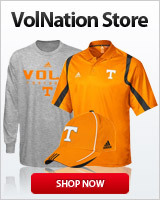 You and a hand full of others here don't appear to be Vol fans but rather fans of a particular underperforming player. I'm a Vol fan which means while I would LOVE for JG to be as great as you think he is... he just isn't. The problem is shared between him and the OL. You can say it is 60-40 one way or the other or 50-50. But both have to improve significantly or UT needs replacements in those 6 spots. Just needs to be able to avoid sacks long enough to make a play down field. Can't even talk about another teams possible transfers without the same 5 posters making this yet another JG thread. Get over it or cheer for someone else. No point in bashing the starting qb in every single thread.